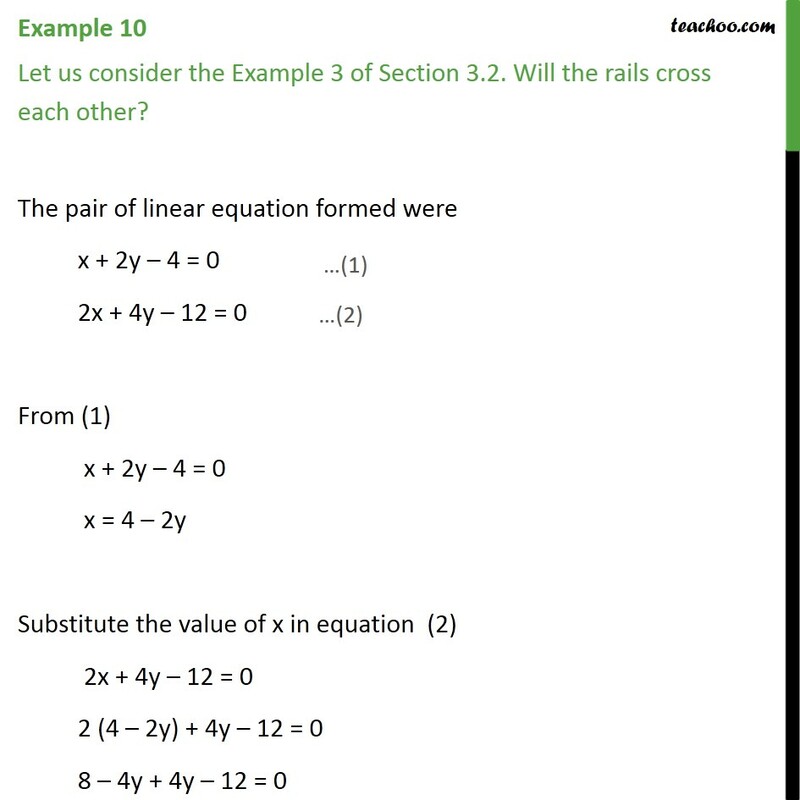 Example 10 Let us consider the Example 3 of Section 3.2. Will the rails cross each other? The pair of linear equation formed were x + 2y – 4 = 0 2x + 4y – 12 = 0 From (1) x + 2y – 4 = 0 x = 4 – 2y Substitute the value of x in equation (2) 2x + 4y – 12 = 0 2 (4 – 2y) + 4y – 12 = 0 8 – 4y + 4y – 12 = 0 8 – 4y + 4y – 12 = 0 −4 = 0 Which is not correct Equation do not have a common solution . So , the two rails will not cross each other.